Summer (November – April) temperature tends toward very hot (30c +) and very humid in the lower lying coastal area and in Zululand. This is the rainy season and the area is prone to torrential rain. Winter (May to October) is probably the best time to visit. It is drier, daytime temperatures rise to the mid 20c but at night and in the early morning it can be chilly. For the Drakensbergs, it can snow heavily at higher altitudes during the winter, but the spring, summer and autumn are very pleasant. The majestic Drakensberg Mountains, historic Battlefields and beautiful sandy beaches are complimented by exceptional game reserves and fascinating Zulu and Indian Culture. The Drakensberg (Dragon Mountains), known as the barrier of Spears by the Zulus, run along the western border of the province rising to 12,000 ft.In Zululand you will see Zulu culture everywhere. Traditional beehive shaped woven huts dot the landscape and you will discover a way of life that is fast disappearing and experience the land of the now legendary Kings, Shaka and Cetshwayo. Battlefields commemorate the Anglo Zulu war of 1879 at Isandlwana and Rorkes Drift and the Anglo – Boer War of 1899 – 1902. Here you will see commemorated the site where Winston Churchill, then a young journalist, was captured by the Boers, the sites of the battles of Spioenkop, Colenso and, of course, the siege of Ladysmith. The National Parks are among the oldest game reserves in South Africa with a proud history of conservation and where, for example, the White Rhino was saved from extinction in the Umfolozi Reserve. The Beaches are some of finest in South Africa. The coastline is extensive with huge beaches and fun resorts. In the remote north is Sodwana Bay which has particularly fine diving among the coral reefs. Mountains & Hiking The Drakensberg around Cathedral Peak and the Amphitheatre in the north and Giant’s Castle in the centre. In the south, the Sani Pass is a spectacular 4 X 4 route into the mountain kingdom of Lesotho. Activities Horse Riding, coarse fishing in the Natal Midlands and the Drakensbergs, tiger fishing in St. Lucia and game fishing in the Indian Ocean. Game Reserves These include The Hluhluwe / Umfolozi, Tembe Elephant Reserve, the world heritage site of the St. Lucia Wetlands and the impressive Phindi Private Game Reserve. Crafts Beautiful Zulu beadwork can be found in the craft markets in Durban and in the cultural villages. You will also find some fine woven bowls and jars. Towns & Resorts Umnhlanga Rocks, Ballito, Umdloti, Margate, Ramsgate and Port Edward are just a selection of the fine coastal resorts. 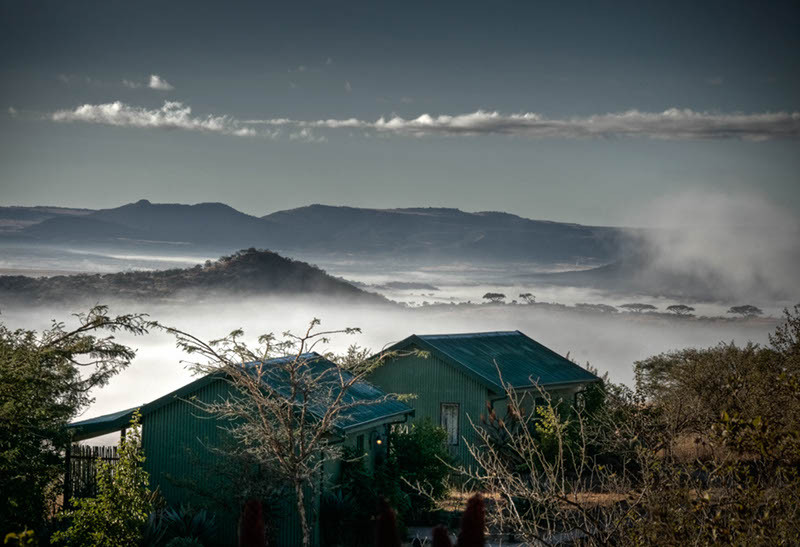 This region has so much for the tourist with a wide range of luxury hotels and safari lodges to excellent bed & breakfast lodges providing typical South African hospitality. Although most of the province is malaria free, you are strongly advised to take precautions in the north of Zululand and most of the northern game reserves from Hluhluwe northwards.